In 8 days I get on a plane and fly to Barcelona Spain to embark on an adventure of a life time. 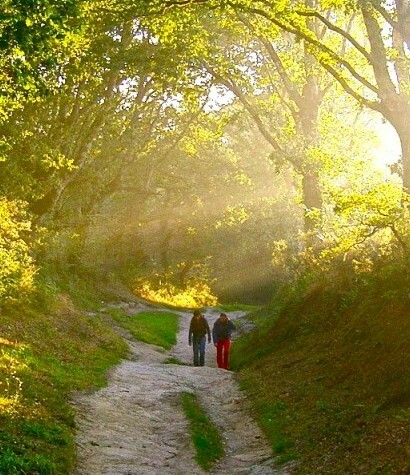 I will walk for 30 days across northern Spain on the Camino De Santiago trail. My plan is to walk an average of 15 miles per day thru amazing countryside alone. I look forward to the tranquility, the alone time, and a chance for personal reflection. I want to understand what I want and what I need to hear the inner me. At 52 years old, I find myself with little, if no ambition. Yet I am surrounded by an abundance of love from family and friends, and amazing oppurtunities for a great future. I’ve dreamt it, I know what I can do, I just have to begin it. My future starts at St Jean Pied de Port when I start walking. Till then…I have to finish packing! → It’s really heavy, and only 13 lbs, Oh boy!